Painting is one of the easiest and least expensive DIY projects for your home. That’s what M/I Homes’ Design Center Manager, Jenny Entler, says. We have to believe her because she studies up on the latest design trends and she’s helped hundreds of home buyers over the years to create their dream spaces down to every last detail, including, yes… the paint colors. She says the current, most popular colors are light, muted grays; “beachy” pastel blues and greens; soft shades of white. “It’s pretty typical for customers to say they want to do a bold color—but few follow through—most stick with a light neutral like gray and beige,” she explains. Here are seven savvy tips that Entler offers to help you pick the perfect hue for you! 3. Get with the Flow: When choosing paint colors for the different spaces in your home—be mindful of how each area flows into the adjacent areas, and select colors with the same tones and undertones. Your home should have an overall flow, and all paint colors should make sense together. 4. Hit the (Fifth) Wall: Don’t forget the “fifth wall” of your rooms! Painting the ceiling will give the room a more finished look. Consider using the same color as your walls, but adding white to it to take it a few shades lighter. Whatever you choose, keep it light and neutral. Remember that darker colors tend to create the illusion of a lower ceiling; while white creates an airy, open feeling. 5. Have an Accent: Painting a room a dark or bold color can be risky. A popular and inexpensive way to add a “pop” of color to a room is to paint an “accent” color on one wall. The color you choose should be in the same shade family and have the same warm or cool undertone as the general paint color. You’re less likely to get tired of the color too soon and it’s much easier to keep up with color trends when you only have one wall to repaint! 6. Contrast your Trim: Contrast your wall color with your trim color. Even a light neutral color on your walls will look more interesting when it’s paired with bright white on your baseboards, crown molding and window sills. The bright white will bring out the “color” of your neutral. 7. Think Big Picture: When we work with a customer to select a general paint color for a brand new home, and we don’t have any idea what their furniture of décor looks like; our goal is to find a neutral color with the proper undertone to complement their cabinets, flooring, countertop and tile choices. All components should be considered as a whole and the general paint color needs to look good with everything they’ve chosen. If you’re interested in talking with someone at M/I Homes, call Laura at (513) 268-8460 or email her at salescinci@mihomes.com. Coming Soon: Ambleside VIP Community! Whether it’s getting a nicer room on vacation, or front row at a fashion show, I love it when I can splurge a little and upgrade to VIP. But upgrading to VIP for FREE? Talk about a win-win! That’s what M/I Homes offers with their VIP list. It’s free to sign up, and when you’re on it, you’re the first to find out about new communities, plus you’ll get info about pricing and plans before they’re released publicly. For example, there’s a new community coming soon to the Mason area called Ambleside and M/I Homes just released the site map to those on our VIP list. Plans and pricing for this community haven’t been released yet, but if you join the VIP list, you will get the info first! Ambleside is within the Mason City School District – one of Ohio’s highest-ranked districts – which educates more than 10,000 students in an early childhood center, (pre-k, k, 1, 2) one elementary school (2-3), an intermediate campus (4-6), a middle school (7-8) and high school (9-12). The community itself offers 122 single family 60’ wide homesites to choose from, with the option of some cul-de-sac homesites as well. Other perks include community pool, ponds and nature trails, with easy access to 741 and I-71. 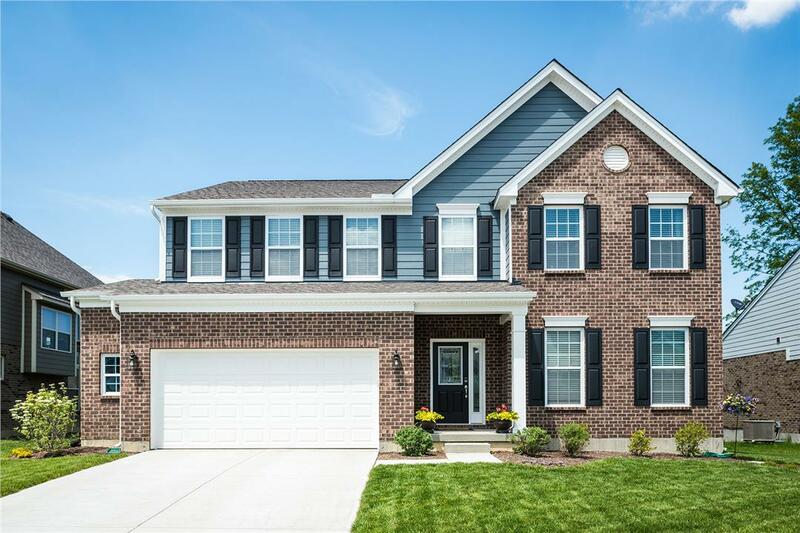 If you your family lives an active lifestyle, you’ll love it because this community is located minutes from Mason Sports Park, Heritage Oak Park as well as Four Bridges Golf and Country Club. In fact, in September 2013, Money Magazine ranked Mason the 7th best place to live in the country. 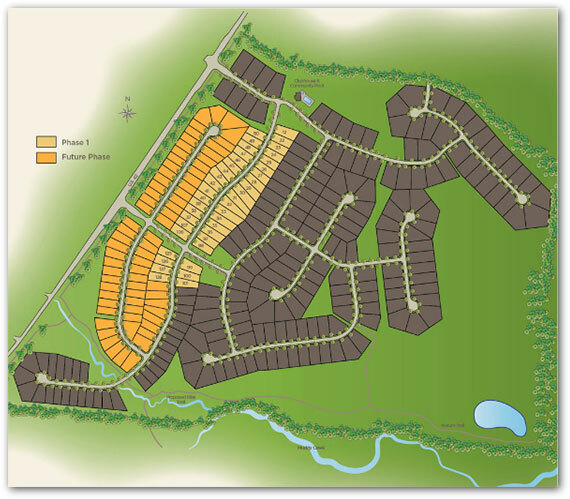 Check out this gorgeous community and see what some of these new homes in Mason will look like. You’ll also get to see what the community streetscape will look like! You can also click here to watch an aerial tour video – it’s just dirt for now, but gives you an idea of where the community is located and the terrain! 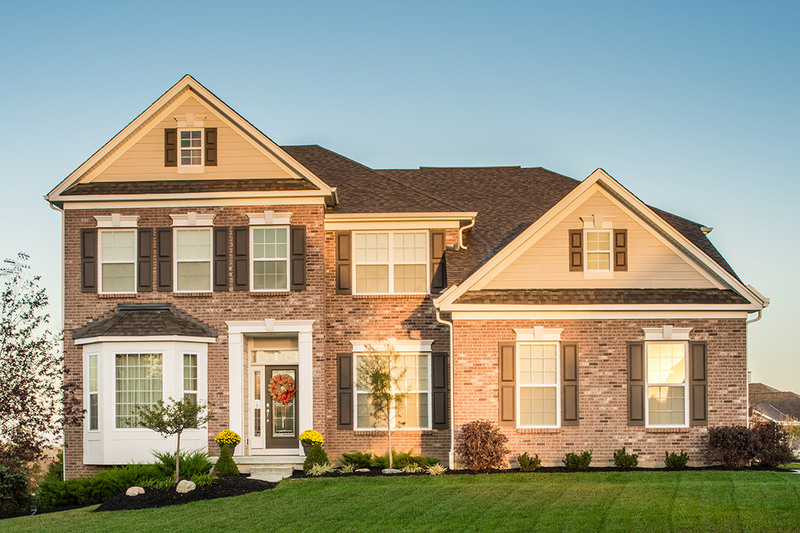 If you’re interested in talking with someone at M/I Homes or being one of the first to see the new Ambleside community, call Laura at (513) 268-8460 or email her at salescinci@mihomes.com. And don’t forget to sign up for the VIP list! 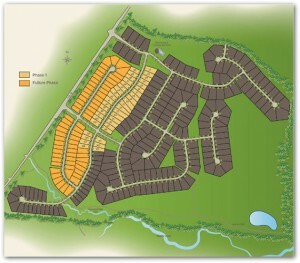 M/I Homes’ Newest Community “Estrella” Coming Soon! Estrella. Meaning “star” in Spanish, this new community soon to be developed by M/I Homes is sure to be a star when people start to find out and see it in person! M/I Homes just purchased the land for the forthcoming Estrella community. 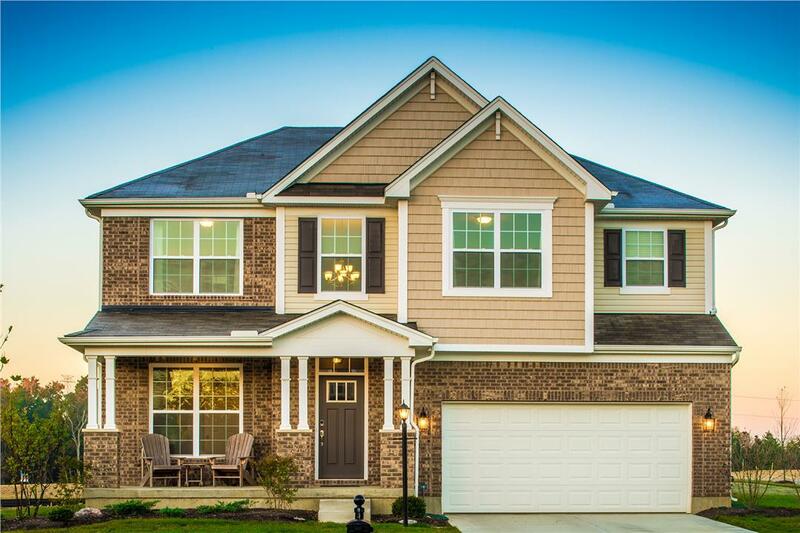 It’s across the street from Amelia High School, includes 91 acres and 113 homesites to choose from. It also has easy access to highways, shopping (including Eastgate Mall), and schools. It’s an up-and-coming area too with lots of good things to come on the horizon! In fact, the Estrella community is just down the street from a brand new, state-of-the-art school that Clermont County is building to replace Amelia High School. Click here to read a story on WLWT about it! 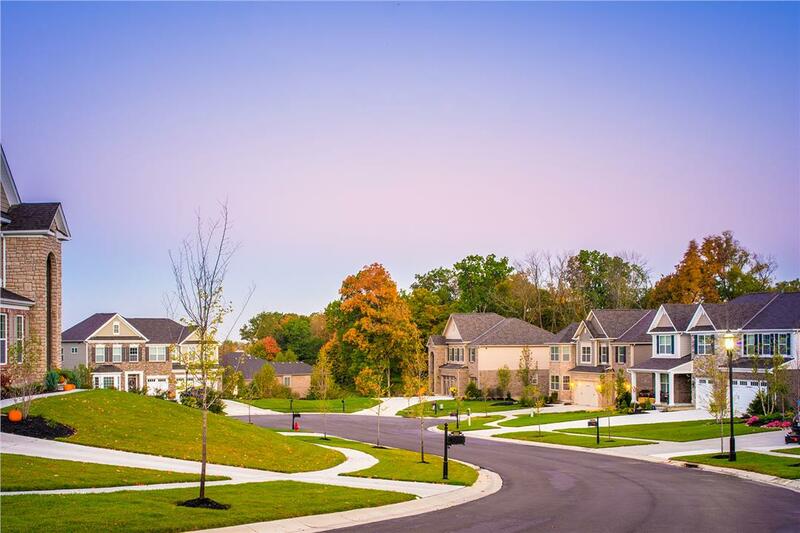 This area is in such high demand that M/I Homes is running out of home sites in their three other communities in the West Clermont School district, Liberty Crossing, Woods at Wetherby, and Estates at Shayler Ridge. So, this location was a natural fit for their newest community! The Estrella community will feature pocket parks, walking trails and about 44% of it will remain as open space! Sounds amazing! There will be a model home (which I’m sure will be beautifully decorated!) soon built in this community, and there will be a grand opening event to officially welcome everyone to check it out. It’s amazing how quickly technology changes, and how much each little advancement makes life so much easier. Today, technology is finding its way into every aspect of life to make everyday living a little easier. And keep in mind that technology isn’t just limited to your phone, tablet and PC (although many have apps that connect to your mobile devices). It’s in your car, it’s in your fashion (I just got a cool new bag that charges my phone on-the-go! ), and it’s definitely in your home. I’ve been searching for new ways to make our home a little “smarter,” and I came across the Smart Series of Homes blogs from M/I Homes. 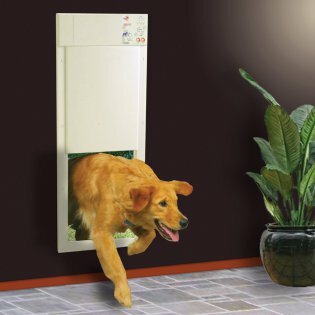 There, I found a great post featuring five fab ways to make your home a little (ok, a LOT) smarter, with fun things like a robot that cleans your gutter, wifi enabled sprinkler, electronic doggy door, touchscreen deadbolt, and a WiFi-enabled device that acts as your garage door opener. 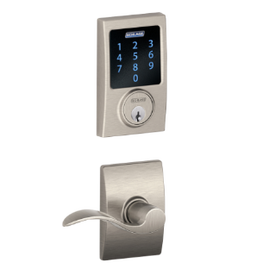 We actually just switched out our old deadbolt with one of the Schlage touchscreen deadblots for our house and I LOVE it – you just type in a quick passcode instead of using a key! My daughter is now tall enough to reach locks, so it’s nice to know that I won’t get locked out with her inside if I take something out to the trash can or bring a package inside! haha! 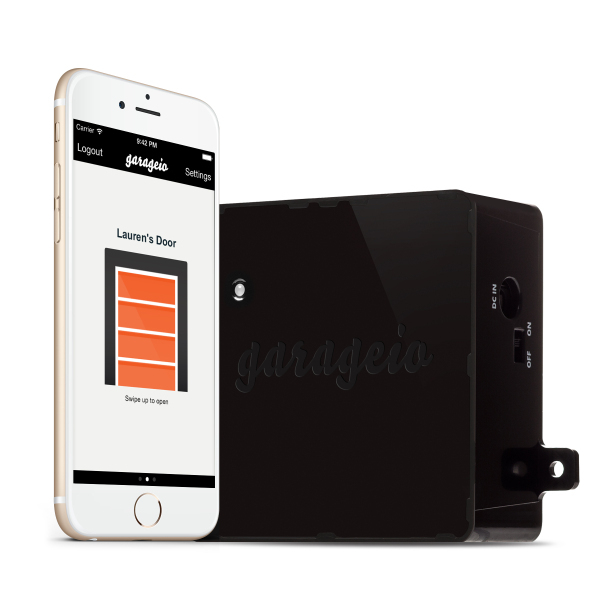 The garage door app one was my favorite ideas from the blog series because it allows you to open and close your garage door with your smartphone from anywhere in the world. Plus, you can connect to a weather service so it closes automatically when it rains, or a location service so it automatically opens when you arrive! One thing I loved about ALL the ideas is that they’re all super affordable. They all ranged from $199-$349! There was also this great post from the series featuring a bunch of ideas for updating your home with Security Systems and Cameras, and then this one on garage/outdoors! Oh, I hear there’s another smart blog in the series coming soon by M/I Homes, so I can’t wait to read that one too! If you’d like to learn more about the smart M/I Homes and where they are in Cincinnati, click here! Or, if you’re interested in talking with someone at M/I Homes or seeing one of these models in person, call Laura at (513) 268-8460 or email her at mailto:salescinci@mihomes.com. We all love those “Look for Less” design shows and features in magazines. So, I found three fabulous M/I Homes models, and found lots of great looks for less that I think you’ll love! Check them out! 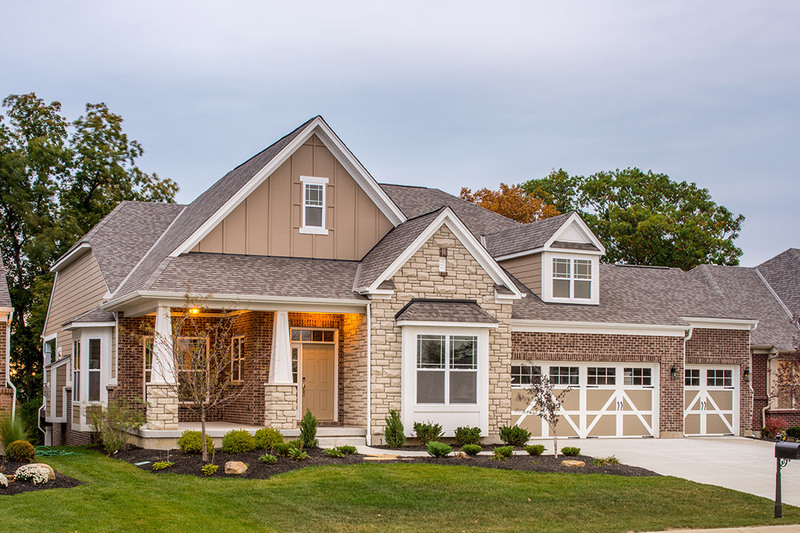 If you’re interested in talking with someone at M/I Homes or seeing one of these models in person, call Laura at (513) 268-8460 or email her at salescinci@mihomes.com. Turnbridge Grand Opening June 2! They say variety is the spice of life, and that’s exactly what you’ll get at the Turnbridge Grand Opening event! 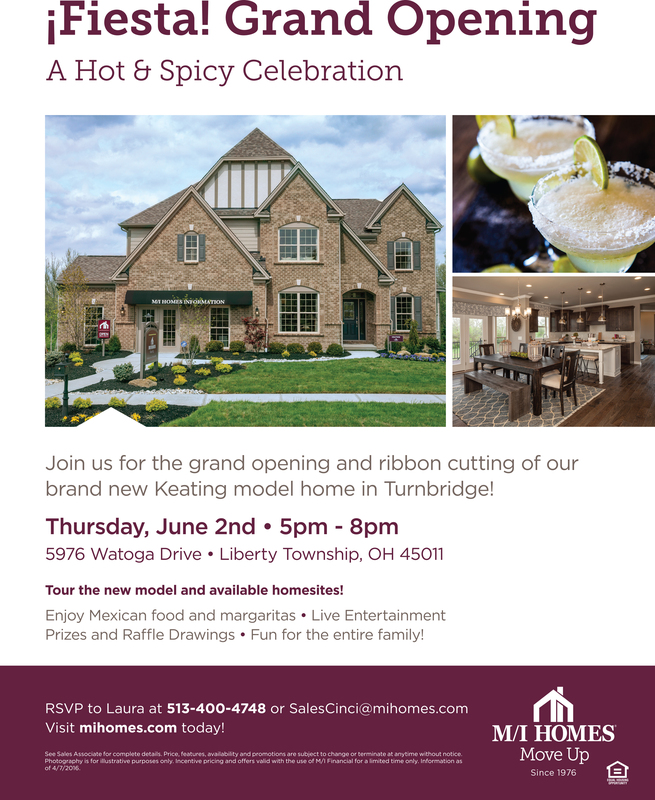 It’s M/I Homes’ new homesite, Located in Liberty Township, and the grand opening festivities will have a fun Fiesta theme! So, mark your calendar for Thursday, June 2 from 5-8pm. Enjoy Mariachi Band, taco bar and margaritas. Plus, we’ll have an exciting ribbon cutting ceremony at 4:45 with the Chamber of Commerce. Its going to be SUCH a good time! Click here to learn more and RSVP! The community itself features a picturesque setting of winding roads, a backdrop of mature trees and beautiful park settings. In fact, there are 48 acres of green space designated for residents, walking trails, a large stocked pond with a large fountain and an awesome playground! Click here to learn more about the community! The model that you’ll get to view at the Grand Opening event is the Keating floor plan. This 3,932 square foot, four-bedroom home is designed with luxury and function in mind. Everything from the magnificent two story foyer area with cascading staircase to the soaring two story great room with stunning windows… this model says “WOW!” The kitchen is the perfect blend of function and fashion with its open design concept. The first floor also offers a study and a den, perfect for the busy family who needs extra space. Enter the beautiful master retreat through double doors and enjoy the luxury spa-like master bath. With a huge walk-in shower and double vanities, this is the bathroom of your dreams! The master retreat also features a huge walk-in closet (no more storing half your clothes in the guest bedroom and basement!). The second floor laundry is conveniently located just outside the master retreat. Plus with three other bedrooms and two more bathrooms on the second floor, you have all the space you need… and then some! This home is beautifully decorated by Mary Cook & Associates and is a MUST see! Click here to learn more about the model! I can’t wait to check out this gorgeous model home at the grand opening event…. and maaaaybe one of those yummy margaritas! Greenshire Commons Community, Model Home Grand Opening Event! Dream home… dream location… dream no more! There’s a new community on Cincinnati’s west side that can make it all a reality. This brand new, absolutely beautiful, single-family home community is located near I-74, I-275 and only 15 minutes from Downtown Cincinnati! This community is also proud to be a part of the Oak Hills School District, which is the third largest school system in Hamilton County. You get to have the best of both worlds, though – close to everything but feel away from it all! Located on the West side of town, this community features three community lakes and over 18 acres of natural green space. Situated on Old Hillview Golf Course, Greenshire Commons has natural beauty that allows you to feel like you’re in a remote location, but in reality, you’re just minutes from the city and all your conveniences! Click here to see a video of the community! Greenshire Commons is opening in style with a grand opening event and model home tour. The event takes place on Saturday, May 21st from 12pm – 5pm. You can click here to get more details and RSVP! And fair warning: Be prepared to fall in love the moment you walk in this AMAZING model home! The model is a Nicholas, one of M/I Homes’ best-selling plans. Its 4,423 square feet, 4 bedrooms, 4.5 baths, finished walkout basement with a bar. It walks out to a paver patio and fire pit. Screened in porch off the kitchen. Gourmet kitchen, wood beams on the ceiling in the kitchen and great room. First floor study with built-in library. Second floor laundry. Master suite with a vaulted ceiling, master bath has a walk in garden shower. Home backs up to wooded views. Whew! That’s just scratching the surface! You have to see it for yourself! At the grand opening event, you’ll not only be able to tour the brand new, professionally decorated Nicholas model home, but you and the family can also enjoy food, entertainment, kid’s activities, prizes, and much more! They will have Chicago Style hot dog vendor and a Empanada food truck and a kona ice truck. They will also have face painters and a balloon artists for the kids! Plus, every half-hour they will be giving away prizes! So fun! Bring your hunger and your family, and we’ll see you there! If you are interested in talking with someone at M/I Homes, call Laura at (513) 268-8460 or email her at salescinci@mihomes.com. Kids are almost out of school, and people have more time to shop around (and move in) during the summer, so as the weather heats up and so does selling season! If you’re trying to sell your home to get into a new home – use these suggestions for boosting your curb appeal! Curb appeal is your first impression as someone drives by or walks up to get a closer look. And as they say, you never get a second chance to make a great first impression, so here are 15 helpful ways to make sure it’s great! Clean Windows: A quick wash to make the windows sparkly clean will not only make your home gleam, but it gives the impression that the home is clean and cared for. Plus, your home is covered in windows, so you don’t want people to walk up and immediately add something to their cleaning to-do list before they even walk in the door. Fix the front door: The door is the first physical contact that a potential buyer will have with your home, so make sure you WD40 the squeaks, tighten any loose knobs, fix the storm door, clean any glass, and re-paint if it needs a new coat. Paint the front door: If you do paint the front door, give it a color that makes it pop! Powerwash your home, walk ways, patios, driveway etc. It’s amazing how a good powerwash removes years of dirt, mildew and build-up to make it look almost new again. Give your porch and deck a facelift: Restain if you can, or another option is to use the “Deck Over” product from Home Depot, which gives a similar look to fresh stain without all the work. Paint fences, mailboxes, house number: While you’re restaining, cleaning and painting, make sure your fences, mailboxes, and house number all look pristine too! Bold house numbers: While we’re talking about house numbers, make sure these are bold and easy to spot. The worst thing is to have someone searching for your home from the MLS and not be able to find it. Give some love to the landscaping: New mulch is such an easy way to give a fresh look to your home’s façade! Try the red mulch for a great pop of color! Change up your porch lighting. Get a beautiful pendant light, or solar lights along your front walk way. Paint your Garage door, or if you’re really up for a challenge, repaint your home! You’ll be amazed at what some new paint can do to an older home. Add a new door knocker: New hardware will give it an updated, modern, cared-for appeal. Plus, you’ll be able to hear when people are knocking on your door for all of those showings! Add window boxes, potted plants to the exteriors, etc. Think about those things that are constantly catching your eye when you’re on a walk or driving. Make your home truly stand out with these items. Plant perennials of different colors throughout your home: Think of eye-catching color combos like reds, yellows and oranges! Last but not least…Think like a buyer! Don’t think of this home as your home anymore. Think about it this way – you’re window shopping at the mall. What attracts your attention and is going to make you want to look at that item more? Do this to your home. Once you have your home sold, make sure you start looking into purchasing a new home. You’ll be amazed at the layouts and different options that you can put into your home. If you are interested in talking with someone at M/I Homes, call my friend Laura at (513) 268-8460 or email her at salescinci@mihomes.com.